There is a lot of buzz around cryptocurrencies – will BTC be over $20,000 by the time this blog post goes live? 🙂 – these days, but beyond the hype, one thing is pretty clear: it enables a decentralized economy that is particularly interesting to look at from an IoT perspective. monetization of IoT data – cryptocurrencies make it really easy to implement scenarios where data producers can get a financial compensation in exchange for the value provided by the data they expose. Think of a weather station you would put on your balcony: people or corporations could have access to the feed of sensor data in exchange for some tokens. smart contracts – taking monetization a step further, smart contracts can enable higher-order, secured, transactions to automatically take place on the network. If you take the example of the weather station, you could sign a smart contract with a 3rd party whereby you get paid for giving access to your sensor data if and only if you can provide an uptime of at least 99%. Note that this would probably require a trusted third party responsible for checking your uptime and storing it in the ledger. security – manufacturers can use a distributed ledger to store information that can be used to help securely bootstrap IoT devices, by e.g allowing customers to check the authenticity of a chip. 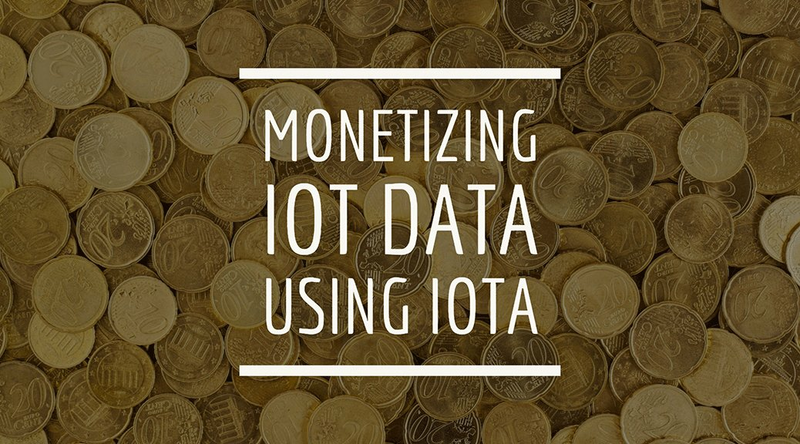 In this blog post, we will focus on the first topic: monetizing IoT data. For that, we will look at leveraging IOTA’s distributed ledger. We will be showing how anyone can be given access to “simple” IoT sensor data on an MQTT broker, while only people who are paying for it will be able to access the live, raw, data stream. 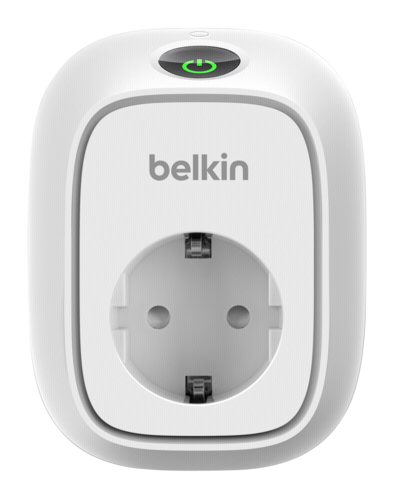 We will be basing this article on the use case of someone, let’s call her Jane, willing to give access to a live sensor data stream coming from a smart plug, granted that she gets some money (iotas) in return 🙂 . The instant power consumption metrics will be published to an MQTT broker twice per second, making for a pretty accurate sampling that people might be interested in buying. On the same MQTT broker, Jane will also be making available the 1-min moving average of the power consumption for anyone to access, even if they don’t necessarily want to pay extra money. send some IOTAs to Jane (she’s decided that 500 iotas is what people should pay to access the data for one hour), for his MQTT client to be granted access to sensor/live topic where the live, and more valuable to him, data stream is being published. Eclipse Mosquitto as our MQTT broker of choice. 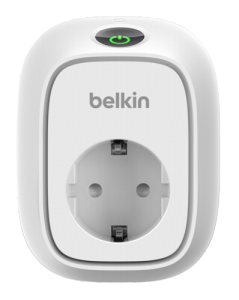 A Belkin WeMo Insight smart plug. Enough with the words! I’ve put together a video (click here if the video doesn’t show up below) that shows the whole scenario in action. While you will quickly realize that I do a bad job impersonating Jane and John, what I hope you notice is that this is a real demo, and anyone can implement something similar today. The technology is here, and while it has some limitations, I do think it’s worth exploring what new scenarios it enables. I have published all the code behind this proof-of-concept on my Github repository, please check it out and open pull requests or issues if you happen to give it a try! This is obviously a simple proof-of-concept, and I am almost certain it is not free of security issues. I would certainly be happy to hear from you if you have feedback :smile:. IOTA transactions, just like with many other distributed ledgers, can take a significant amount of time before they get confirmed. Having to wait for a couple hours after you’ve made a payment to effectively get access to the data can seriously impact the user experience. A nice improvement would be to rely on IOTA Flash Channels, as they allow to perform instantaneous, off-tangle transactions. Do you see other areas for improvement? Have you seen similar solutions implemented with other cryptocurrencies? Note that the IOTA folks have recently announced an IoT data market that seems to implement a similar idea, but I haven’t had time to look into it closely.